A fitting end to an unbelievable journey. 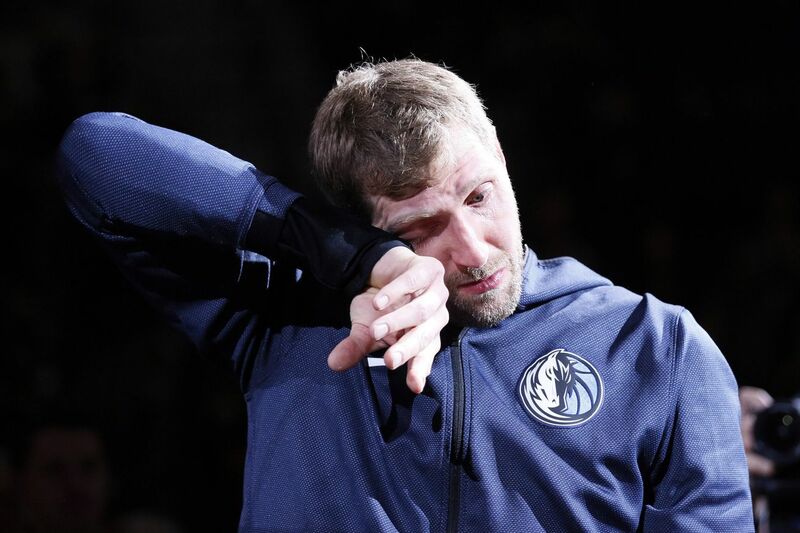 In the final game of his Hall of Fame NBA career, Dirk Nowitzki shed a tear. The emotional Nowitzki played his last game on the road in San Antonio, and the Spurs’ video tribute sent the Mavericks legend into disbelief. Nowitzki’s farewell tour lasted all season. Fans, players, coaches and entire franchises paid tribute to one of the greatest to ever set foot on an NBA floor. Nowitzki didn’t want to admit this was his last season. He would listen to his body, he repeated, and would make the decision at the end of the year. But before the second-to-last game of the season, Nowitzki came clean. He’d spent his entire career with one franchise, guiding them to an NBA championship in 2011 and decades worth of immensely competitive basketball during his tenure. This year has been surreal. It’s the end of everything he’s known, and the beginning of his next chapter — whatever he decides it to be. This was the last game of a sure fire Hall of Fame career. And what a way to go out.